Though firmly rooted in the domestic, natural world, Jean Sprackland's poems are thrilling excursions into the lives that we live alongside our everyday ones: the lives we are aware of in dreams, in grief, in love. She shows us the vertigo and vulnerability of human experience with great clarity and precision, tenderness and care. These are vivid poems full of light and weather and water: a flooded forest, acid rain, an inland tidal wave, an ocean of broken glass; jellyfish washed up on the beach that 'lay like saints/ unharvested, luminous'. There is an arresting imagination at work here, one as relaxed and at home in an alternative world of babies in filing cabinets, light collectors or the visiting dead, as it is in the world we think we know: supermarkets, empty flats, the A580 from Liverpool to Manchester. 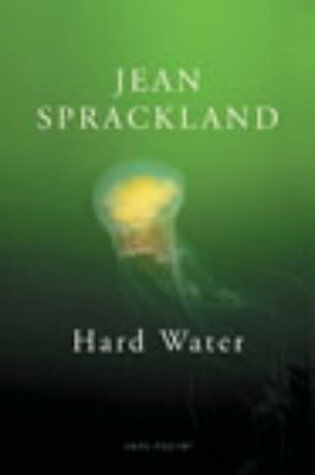 Lucid, sensuous and informed by an unusually tactile curiosity, the poems in Hard Water mark the assured arrival of an important poet. like the straight talk: hey up me duck. and let the little fizz of anxiety settle. Honest water, bright and not quite clean. the alchemical taste of brewing. let rain scald my eyelids and lips. this rain had forgotten the sea. in spite of my book-learning. I let a different cleverness wash my tongue.